» News » Corporate news » Don´t miss out on Beatriz Leube´s speech at New Ag China! One of Tradecorp’s very own technicians, Beatriz Leube, will be presenting at the annual New Ag International Conference held in China. 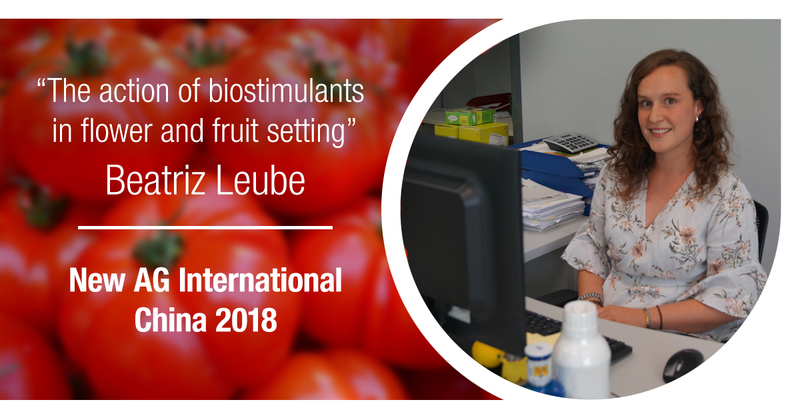 Leube’s presentation, “the Action of biostimulants in flower and fruit setting”, will take place the 16th of October at 12pm. 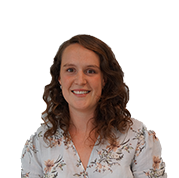 Her presentation will demonstrate the importance of biostimulants in agricultural process and how they are fundamental for an increased production of high quality crops. However, her speech will also touch on related issues such as abiotic stress, and how to combat it. She will also go in detail about what exactly biostimulants are, different types as well as their function in crop development specifically in flower and fruit settings. Taking place in one of China’s most important fruit growing regions, the presentation will pertain insightful information relevant to the area of agriculture it is situated in. Beatriz has a Bachelors in Engineering and Agronomical Science as well as a Masters in Agricultural Engineering from the Politechnic University of Madrid (Spain). Her current position at Tradecorp is Technical Support for the APAC region (Asia-Pacific). Her broad experience in field trials, in many occasions working specifically working with biostimulants in tests of abiotic stress, have instilled her with the experience needed to take on the task of this presentation. Stop by the Tradecorp stand (stand 3) from the 15-17th of October in Nanning, Guangxi, China to gain first hand insight about our products from experienced technicians.